The “Take A Kid Fishing Foundation, Inc.” is a North Carolina based non-profit organization whose mission is to enrich the lives of handicapped and underprivileged children through exposure to the outdoors and an opportunity to go saltwater fishing. The event is held in July of each year along the Crystal Coast and is solely funded by grants and donations, at an average annual cost of $60,000. For over 30 years the Take A Kid Fishing Foundation and its volunteers have baited hooks and cast lines in an effort to engage today’s youth in fishing, one of America’s greatest past times. They believe that fishing is a skill that was meant not to be learned, but to be shared. Passed on from generation to generation by those that love the sport. The program combines a “hands on” experience with educational opportunities that teach participants skills and ethical angling practices. It encourages children to become good stewards of our natural resources in an effort to ensure fishing for future generations. 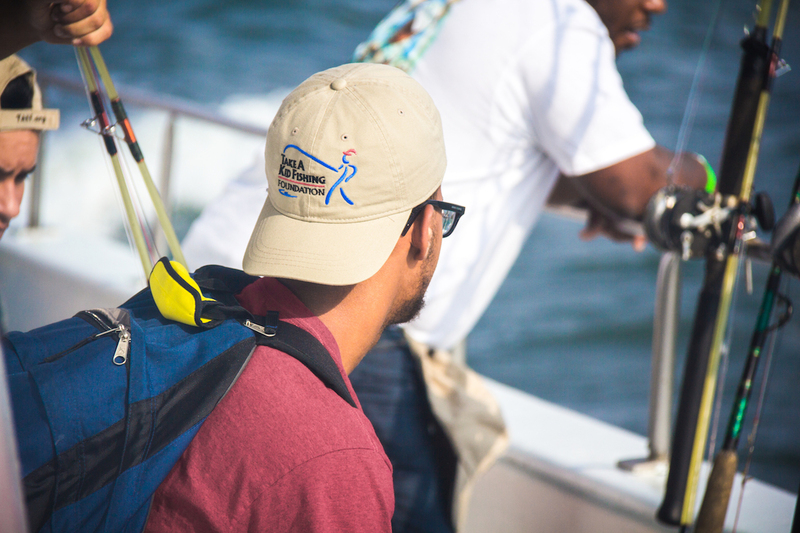 It is a rewarding experience for participants, many of which have never seen the ocean or felt the tug of a line and a heartfelt day for the volunteers and contributors that give each year of their resources, talents and time. They share this experience together creating memories that last a lifetime. It is through their continued support and participation that the Take A Kid Fishing Foundation has been able to provide over 16,000 disabled, disadvantaged and other youth with an opportunity to go saltwater fishing. We are thankful for our many supporters who work throughout the year to help us raise the needed funds and provide goods and services that make this day possible. Their efforts enrich these children's lives and provide them with skills they can utilize over a lifetime. For more information on the Take A Kid Fishing Foundation, Inc., becoming a volunteer or making a donation, visit our website at www.takf.org or contact Teresa Holcombe, Director at 252.241.4426.